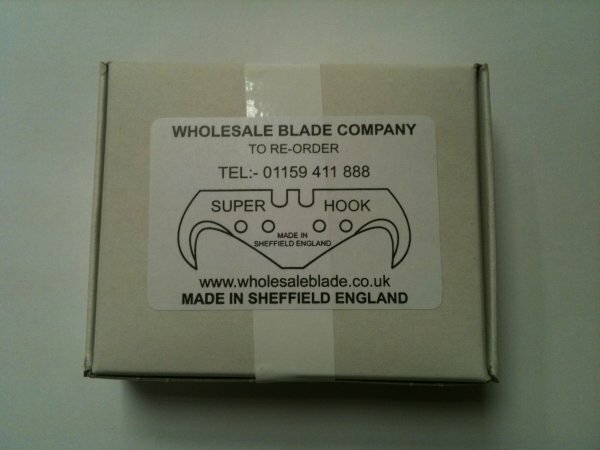 Genuine 'Made in Sheffield' heavy duty trimming blades to fit all types of Stanley, Fat Max, Dolphin, Allegro, Shark and other makes of professional knifes. For DIY, Crafts, Graphic Arts, Flooring, Roofing and many others uses. Manufactured in hardened and tempered carbon steel, these razor sharp heavy duty quality blades are designed to withstand the most arduous materials. The blades are lightly oiled and flow packed in 5's. Can't find the knife blade you need? Volume discount needed? Call us on 01159 411 888.